Christmas can be a stressful time for many people. 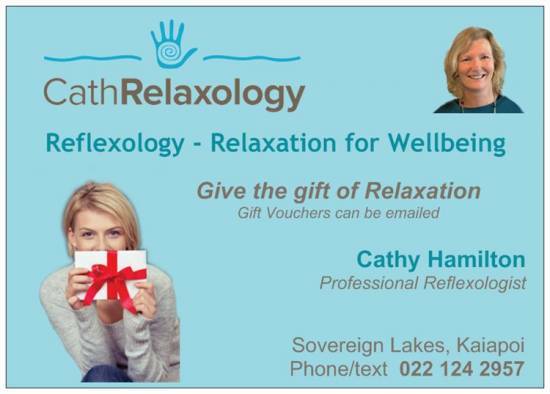 Some of my clients have started their reflexology journey by having a gift voucher bought for them by a friend or family member who feel they would benefit from relaxation. Sometimes it’s not until they are lying on the massage table that they actually take a deep breath and let go. Feeling nurtured is something we all need, even if we don’t think it. Reflexology certainly is nurturing and what better way to show someone that you care than gifting them something they would never purchase or think of for themselves. Gift vouchers are very popular especially for that “hard to buy for” person. Contact me to find out more, they can be paid via internet banking and emailed or collected.